Several years ago, a dear customer purchased one of our Coptic-stitch blank books with a vintage cover— before she had any particular plans for it. Four or five years later, she decided it would be a perfect home for her travel ephemera collected on various trips. Coptic-stitch binding involves making a series of knots in the stitching, and these provide a smidge of space between pages at the spine edge. Thankfully, this spacing allowed the client to attach her bits of paper, ticket stubs, and magazine clippings to the pages without the book starting to bulge. The blank book she had chosen had no title on the original cover. The hand-marbled paper was protected with leather corners, which had become pleasingly distressed. The endpapers had fared less well and were so damaged that we decided to replace them with surplus endpapers we had liberated from another vintage book. 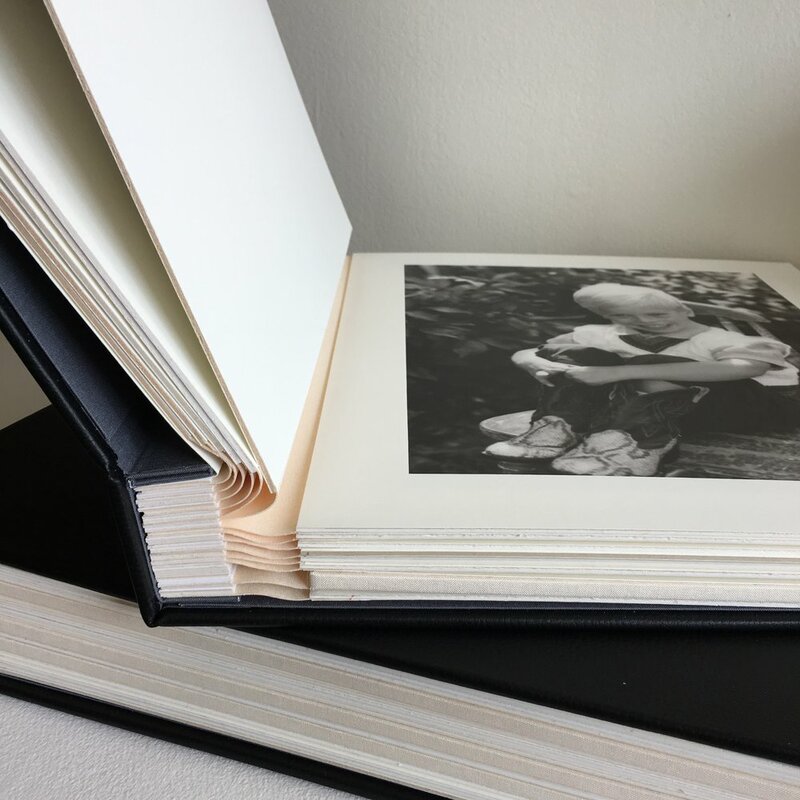 The interior pages of the blank book are Hahnemühle Bugra mouldmade paper from the Czech Republic. How nice that one of our go-to papers forms the backdrop for this global travelogue. Grace Roth Johnston (1877–1962) wrote her memoir manuscripts in the 1930s, ‘40s, and ‘50s, intending their primary audience to be her children, who had long prompted her to record various aspects of her life. My client, one of Grace's grandsons, wanted to produce the memoir in a very printerly and elegant manner for generations to come. The three shorter memoir sections are bound pamphlet style; the four lengthier are bound Japanese style. All sections are stitched with the same silk linen thread. 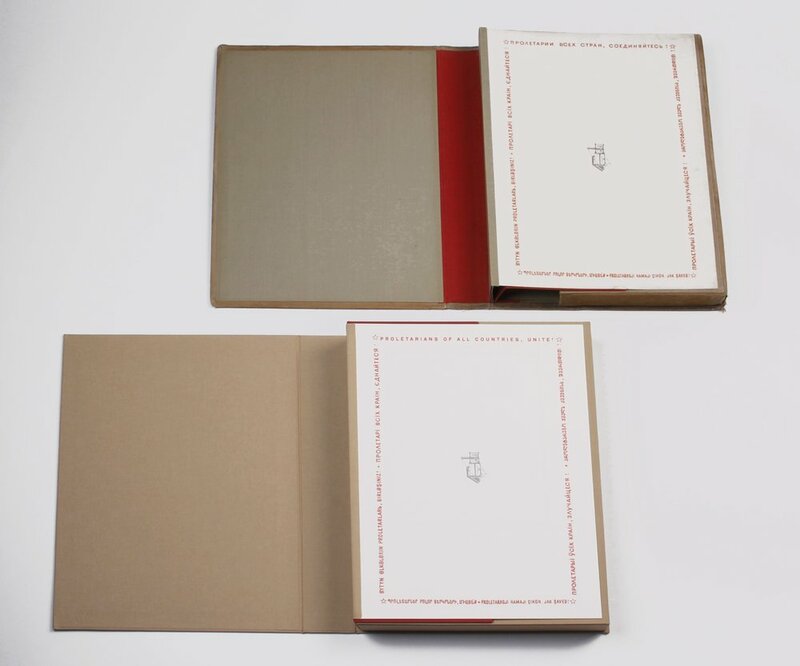 The limited edition covers are handmade paper, made from table linens that had belonged to the Grace. For one of the sections, the papermaker pressed a piece of lace tablecloth into the still-damp paper, creating a beautiful embossed pattern. For the trade edition, the covers are printed on Mohawk Superfine (matching the text pages of both editions). In the trade edition, we included a swatch of the “tablecloth cover” in a glassine sleeve, so that recipients can use it as a bookmark. The client wanted a way to present her complete set of Minotaure magazines. Published in Paris between 1933 and 1939, each of the 11 issues features richly-illustrated articles on the art, architecture, and design of the day. Each cover showcased an original representation of the mythical Minotaur by prestigious artists, including Pablo Picasso and Salvador Dali. The client’s creative muse and I decided to cover the four slipcases using a single enlargement of one of the client’s favorite Minotaure covers. 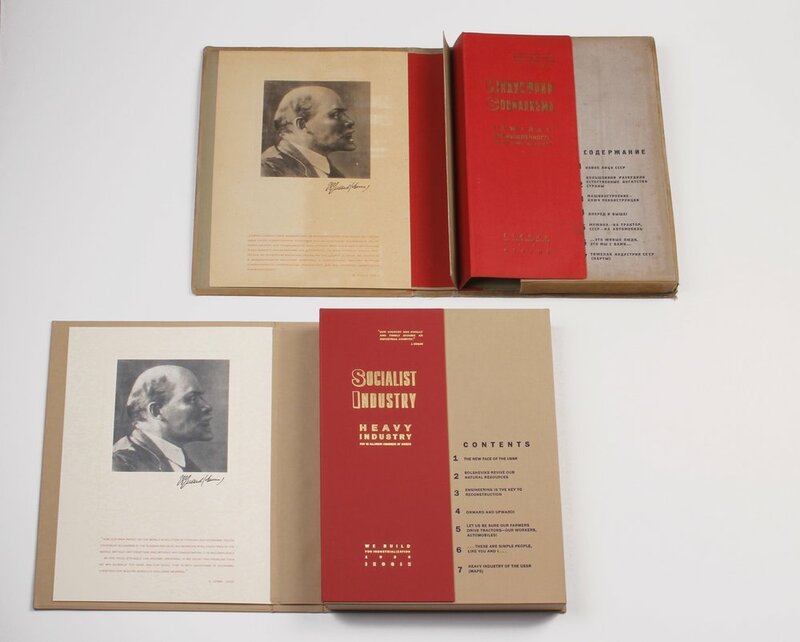 The image, inkjet-printed on bookcloth, was reproduced four times, to wrap each slipcase separately. However, the image needed to shift 2 inches on each slipcase, to create one continuous spine image. I made a spacer for the interior of each case, ½ inch wide, to hold the magazines upright. Without this, the slipcases wouldn’t have been wide enough for their spines to show the entire image. The spacers are covered in tan fabric and glued in place. The client wanted to transfer her collection of framed large photographs of her four children to an album. The photographs, all professionally shot, documented four entire childhoods, from infancy to young adulthood. Fortunately, all of the photos were the same size. 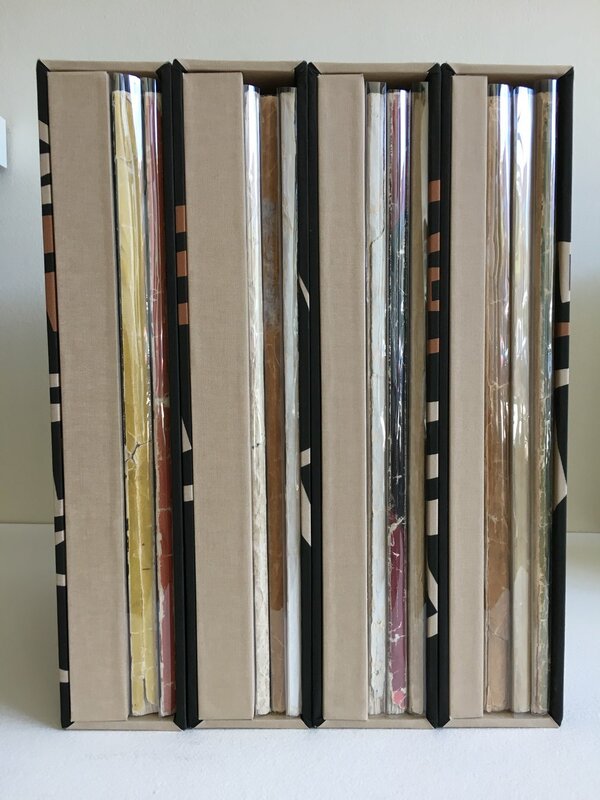 However, once we began removing them from their frames, a variety of backings were revealed, including board and archival foam core—presenting significantly different thicknesses. We left the backings intact. The next phase involved cutting an archival mat to frame the image, and completely covering the backside with the same archival paper. So, the pages match on both sides, making for a lovely aesthetic experience. The pages are double hinged for easy turning. We made a pair of albums, each presenting 16 photos, which allowed for more comfortable browsing (and reminiscing). 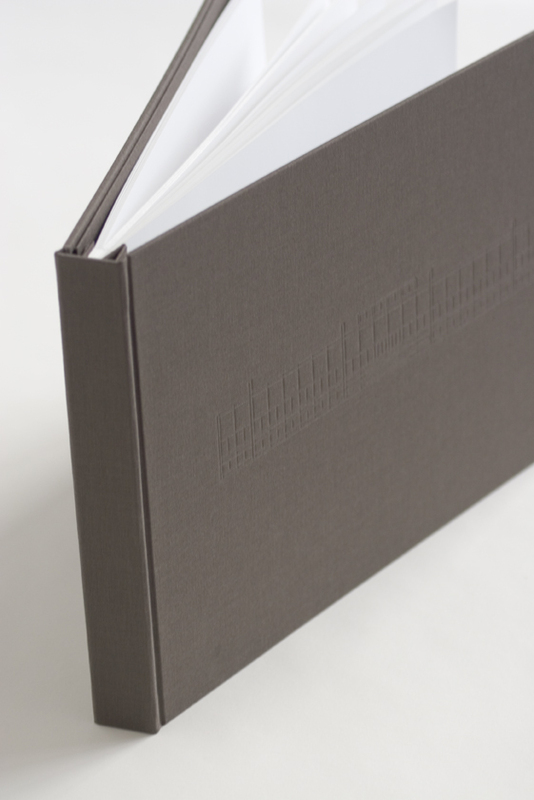 The screw-post albums are covered in upholstery leather, foil-stamped in matte silver. Finally, calligrapher Julie WIldman noted the year of each photograph on the front mat. The client wanted to replace his smart phone’s aging protective case, which he liked to also keep notepaper in for jotting. The one design detail he wanted to replicate was the ribbon closure with embedded magnet. To cover the case, we proposed a sturdy coated buckram for longevity, with a complementary grosgrain ribbon. The client promptly decided to also commission a large-format version to hold a pad of letter-size legal paper. Noteworthy detail: The phone case is the most shallow box we’ve ever built, just about ½ inch. 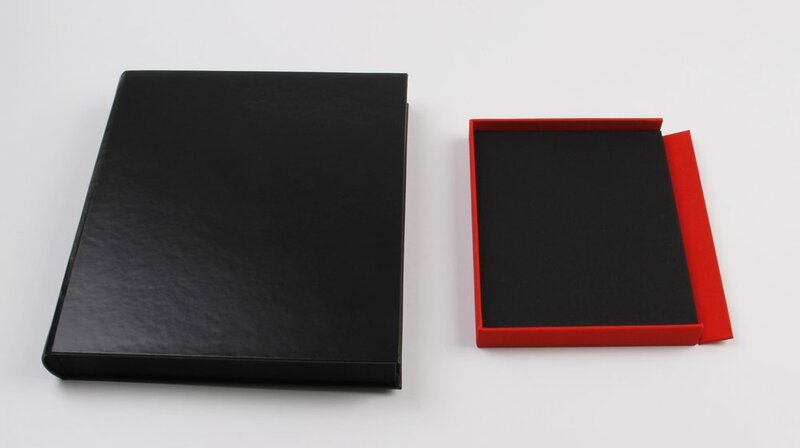 When we began designing the box for the legal pad, we made it exactly the same depth. The client entrusted to me all the cards she and her husband had received on the occasion of their marriage. The stack was 4 inches tall, and the cards were of varying sizes, including a couple of fairly tiny ones. 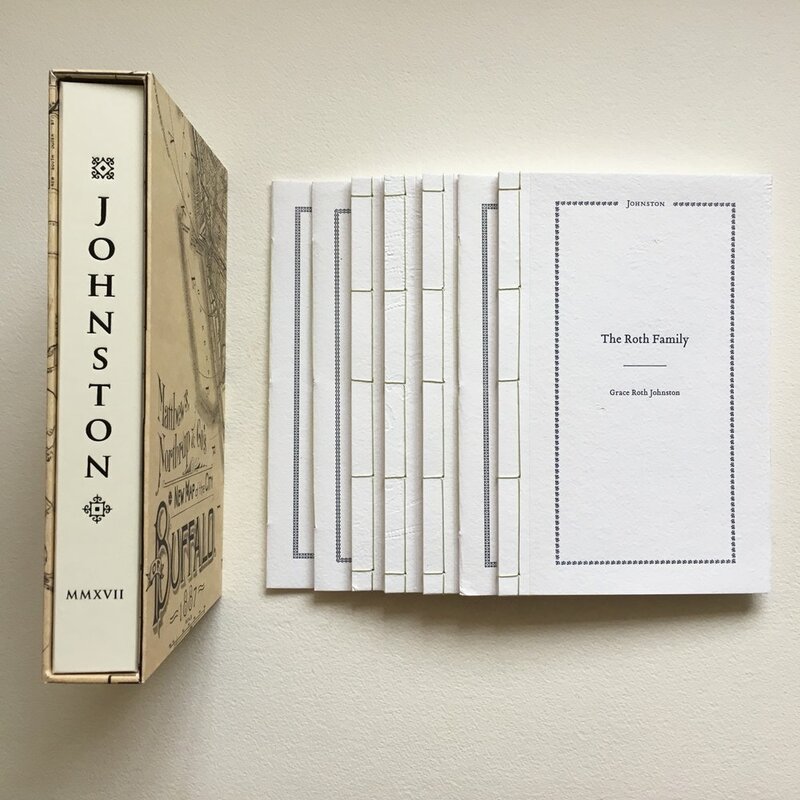 It would have been simple to construct a beautiful box to hold them all, but the client had seen a “book of cards” online and loved the idea. Each card is individually sewn by hand along its fold to bind it into the book structure. The cover (front, back, spine, and hinges) houses the book block. We debossed (by hand) a small panel on the front to inset a card with the date of the wedding and a graphic motif from the invitation. Noteworthy detail: This is the thickest book we have sewn (yet)! Lettering artist Julie Wildman (wildmandesigns.com) purchased this book at my studio sale in 2013. The long-stitch binding uses waxed linen thread. 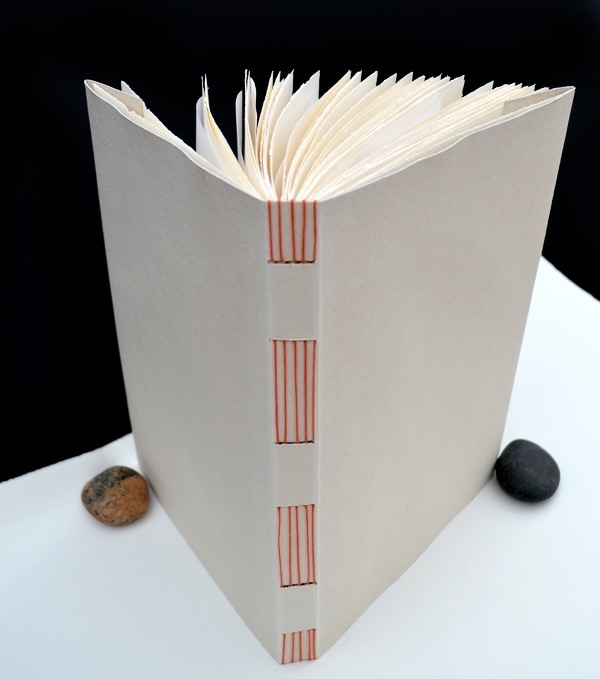 The archival paper for the cover, handmade by Timothy Barrett, is 100% flax. (Timothy is director of the University of Iowa Center for the Book and the recipient of a 2009 MacArthur Foundation Genius Grant for his papermaking.) Interior pages are Fabriano Artistico. Julie used this book to create an alphabet book as her entry in the Chicago Calligraphy Collective’s annual exhibition at the Newberry Library. Each year, the Library purchases one work from the show for their permanent collection… and Julie was the recipient of that year's Newberry Purchase Prize. The box to house this altered book by Fluxus artist Ray Johnson is a rounded drop-spine construction, covered in leatherette. The tray holding the book is covered in red linen, and the entire right edge of the tray is a drop-leaf with a pair of magnetic closures. This project involved creating a portfolio (approx. 14 x 10 x 3") to house a set of Soviet propaganda booklets from the 1940s in their vintage box, which had been “doctored” at some point. I designed a drop-spine box to allow easy access to the artworks without risk of further bending or crushing them. Four separate elements are foil stamped (2 red and 2 silver), requiring precise registration when covering the box. New archival materials maintain the look and feel of the original case. Starting in the 1970s, the client's mother made calendars for her family. Her son Jim wanted his children to enjoy their grandmother's handiwork, so he commissioned two albums. The calendar's size varied from year to year, and the albums' divider pages (Fabriano Tiziano, foil-stamped in matte silver) follow suit. Each calendar page is hinged and scored to French fold. End-sheets are hand-marbled Cockerell from Britain. A recess in the cover holds a family photo. We constructed and covered ten boxes in Missoni fabric imported from Italy. The fabric was paper backed to allow for gluing. The finishing touch is a double-thick, double-wide Mokuba satin ribbon tab that allows the box to slide out easily in the dressing room where the boxes now live. These are the largest boxes I’ve built (so far!). 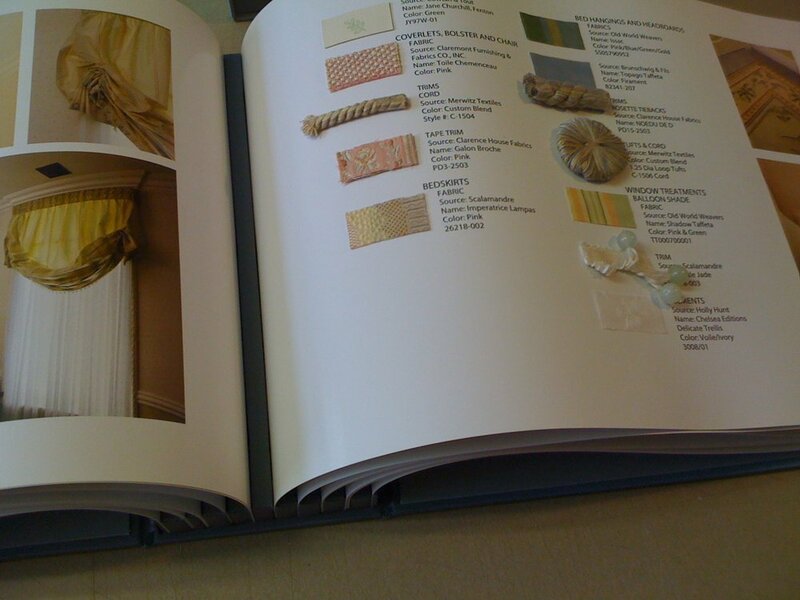 An interior designer commissioned a keepsake album for her client, documenting the fabrics, passementeries, other materials, and wall and window treatments in the home. To accommodate the thickness of the various samples, I created spacer bars of foam core, covered in fabric matching the album binding and box. 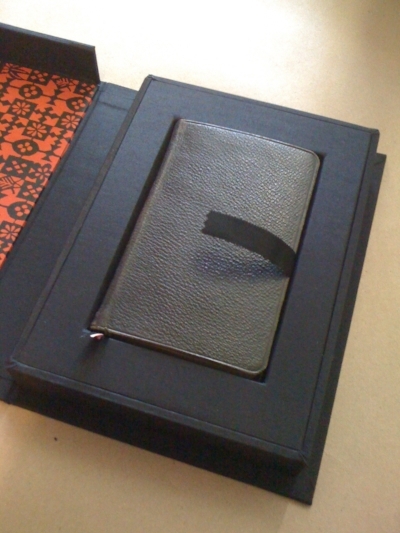 This drop-spine box is lined and covered in black linen. The Japanese decorative paper is stencil-dyed. Interior architect Darcy Bonner is a long-time client. For his new portfolios (13 x 19 inches), he selected the paper and ribbon combinations. Two of the marbled papers are from Atelier Flavio Aquilina, a Neapolitan hand-marbler whose "marbling concoction" gives the papers a vintage look. The other three are from Payhembury Marbled Papers in Cambridgeshire in the UK. All five portfolios have coordinating Japanese grosgrain ties. 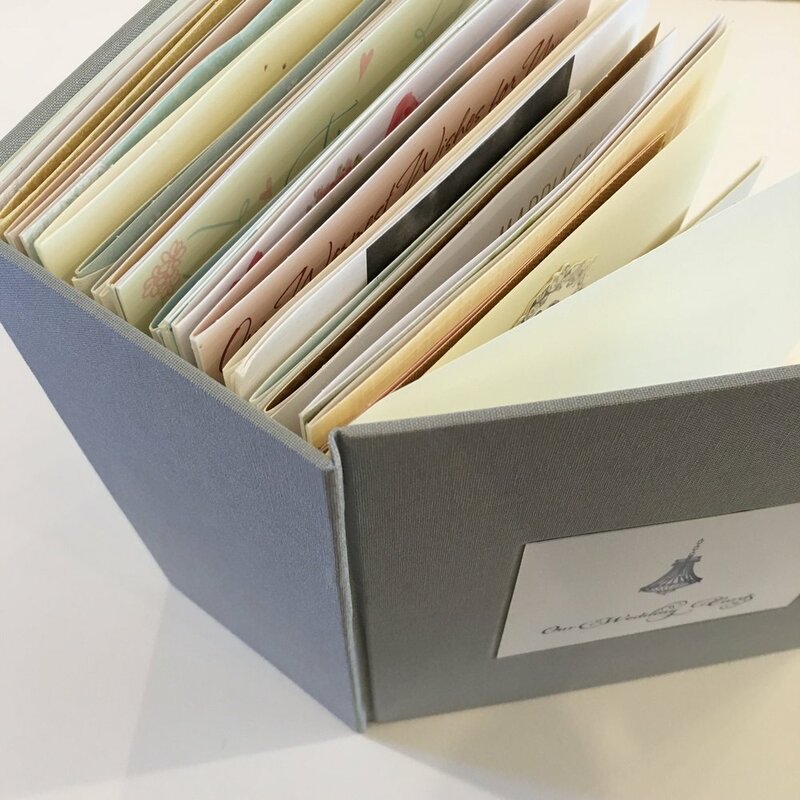 Each portfolio has three archival interior flaps to protect the contents and hold them in place. This box is simply elegant on the outside, with a button for lifting the lid. Outside dimensions are 7 x 9 x 4 inches The box is covered in crinkly Kodai paper from Japan. Construction: The tray (très perfect for pearls) rests atop built-in compartments. Tray is fully covered in Moriki, a complementary uncrinkly paper; cotton ribbon loops attached to the tray allow easy removal and resetting. Compartments are lined in Japanese Momi, a crinkly paper. Screw-post binder (10 x 12 inches) with Japanese cloth cover and recessed panel for calligraphed name card. Multi-coloured pages: pale blue and deep blue are hand-lettered in white; cream and white pages are hand-lettered in blue. Many pages provide spaces for recording Owen's statistics and memorable moments. Calligraphy by annebenjamin.com. Commissioned for a long-time executive with McDonald's on the occasion of her retirement to honor her years of service. The client provided a continuous digital output — taller than Patty herself! — which I scored and folded into an accordion-format and then affixed to covers, in this case heavy bookboard wrapped in linen. A recessed square on the cover frames a tipped-on McDonald's logo. Overall dimensions: 6 x 8 inches. Right: Warm gray linen wrap-around cover. The front is debossed with a large line drawing of S.R. Crown Hall. Overall dimensions are 10” x 13”. Left: Three 1/2“ screw-posts are hidden by a covered tab. The binder holds approximately 30 pages with drilled holes and opens completely flat for viewing. Architectural drawings make the perfect endpapers.